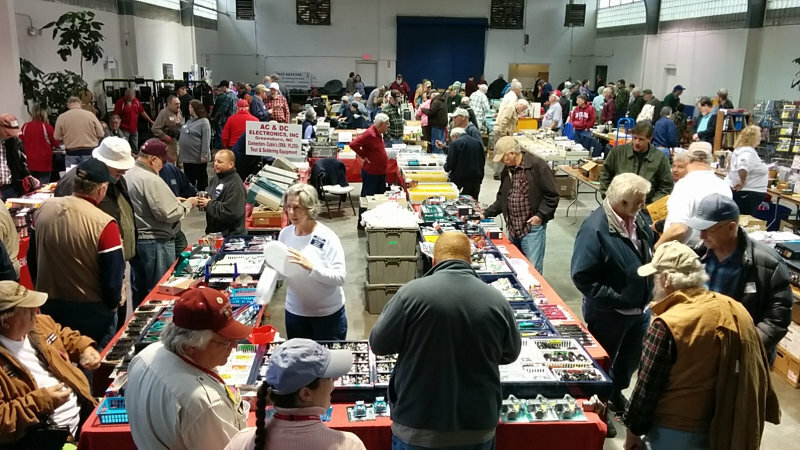 This past Saturday was another Charleston Hamfest. Pretty good hamfest this year with some cool but nice weather for the morning. Pretty decent sized crowd showed up, and I had a chance to make some eyeball QSOs with some of the Twitter hams that I follow, including Andrew/KK4DSD and Beverly/W3BRB. It’s always a little bit weird to have random strangers come up and say stuff like “hey, I know you”, but I’m glad to have the chance to meet them. Lots of busy tables at this year’s hamfest, which is good. Saw lots of nice radios and a lot of Heathkits that I wouldn’t have minded taking home with me. 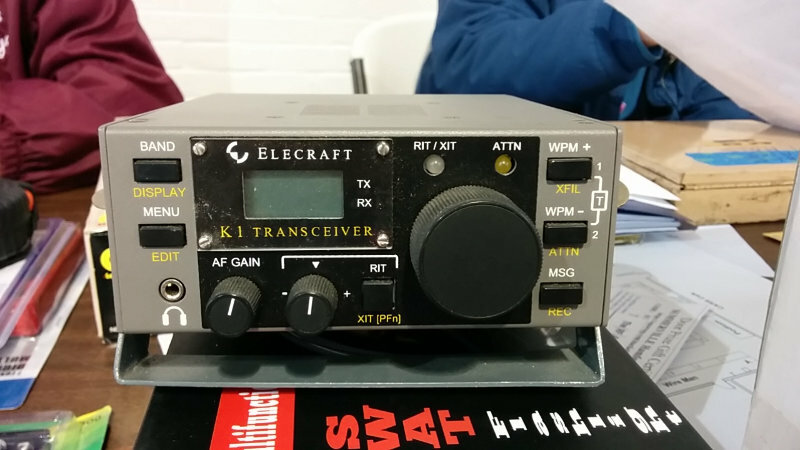 Quite a few nice door prizes being given away this year too, including a donated Elecraft K1 and a couple of quadcopters. 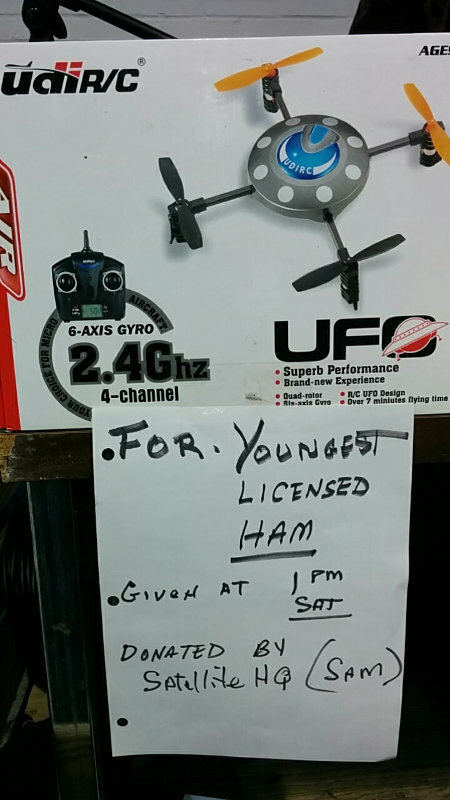 One of them was given away to the youngest ham present at the hamfest at 1PM. Makelab Charleston had a table there, which was nice to see. I know there are a few hams in the Makelab. This year I spent some time at the front of the room helping out with making announcements and giving away some of the door prizes. With no active projects going on, I didn’t really have much of a shopping list. 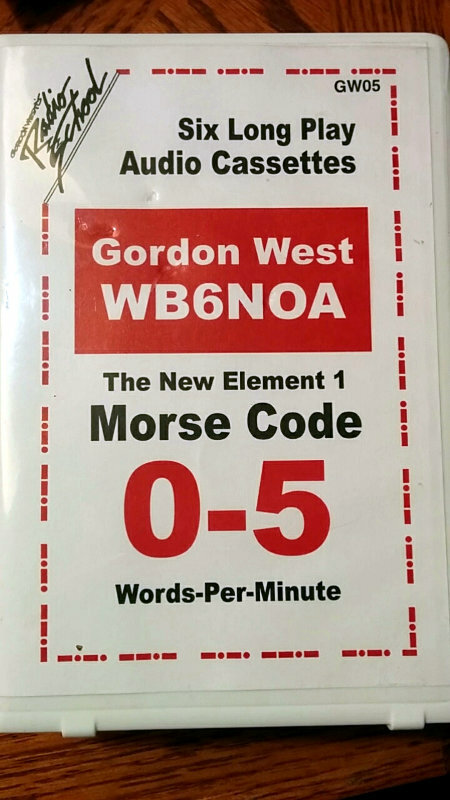 Still managed to leave the hamfest with a bag of goodes though including this gem that Bryce/K4LXF was going to put on the free table, but gave to me instead. I’ll see how well (or if) it plays in the car. Could be useful for the drive to and from work. Also picked up a couple of Mini-Circuits low noise amplifiers, some tools and supplies for the workbench, and a couple of PoV (persistence of vision) kits the Makelab Charleston guys were selling. 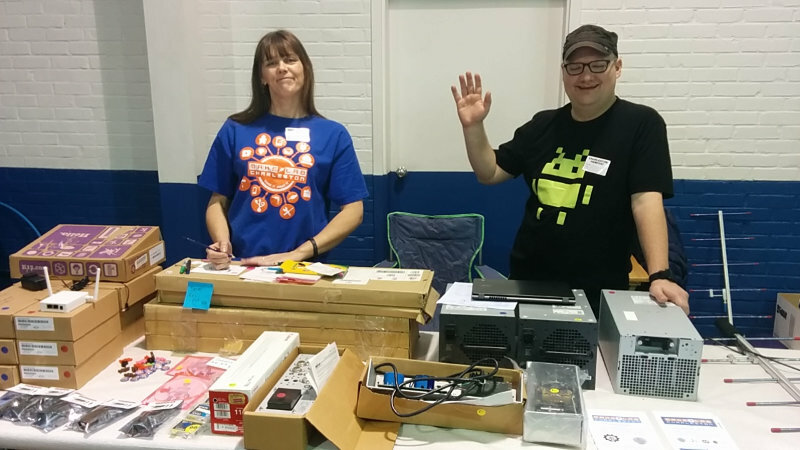 Another good hamfest this year, and looking forward to the next one.